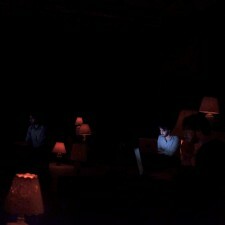 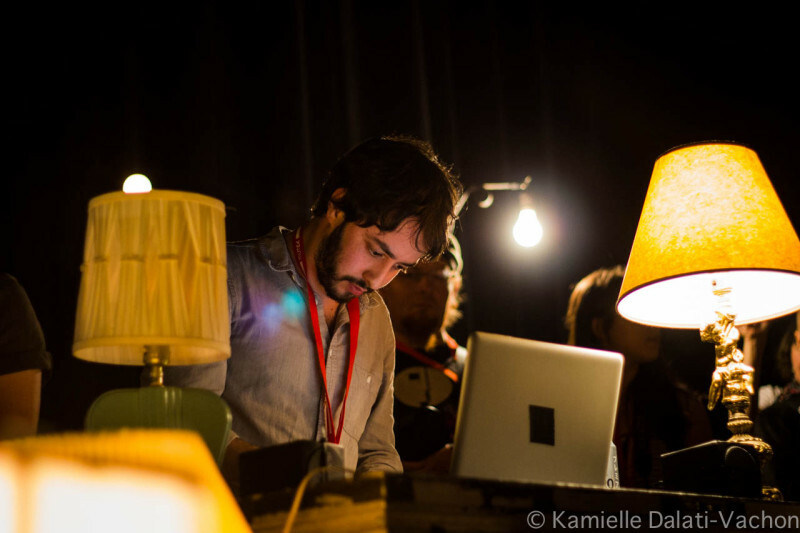 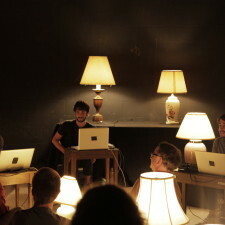 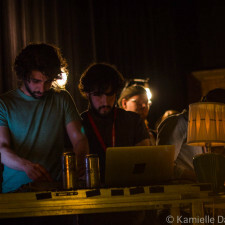 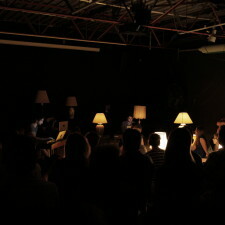 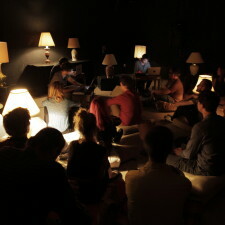 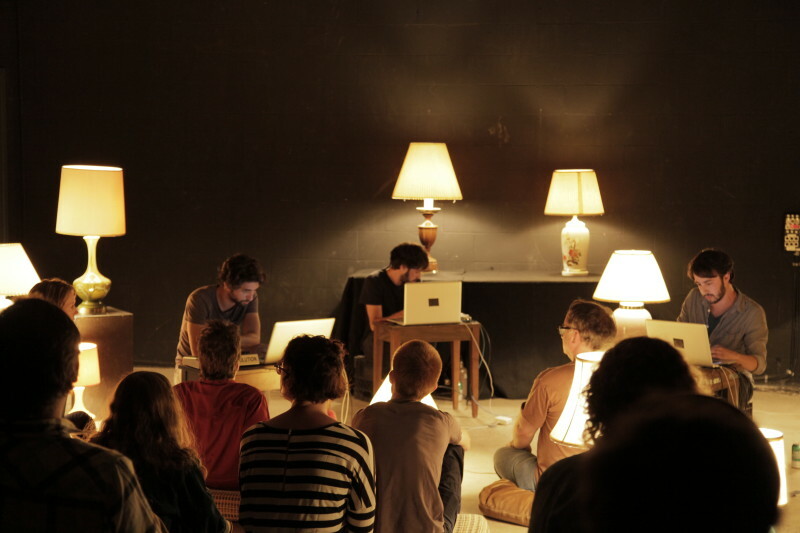 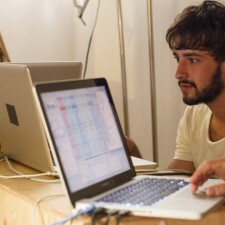 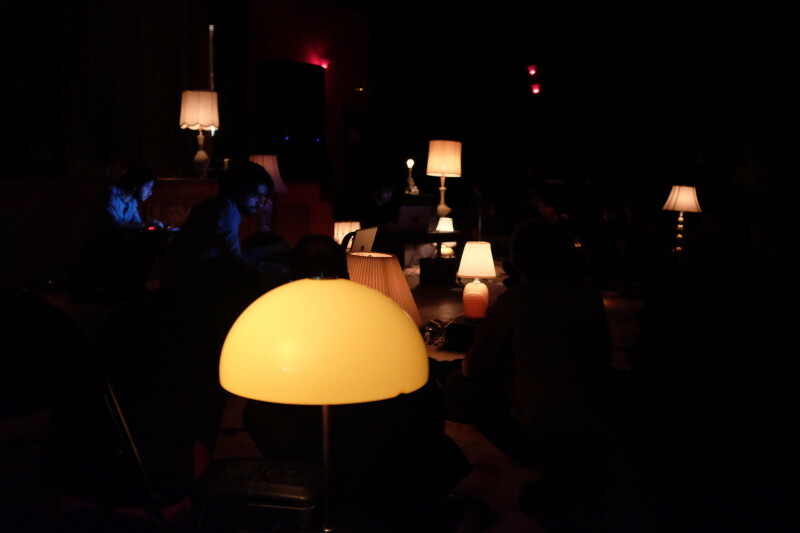 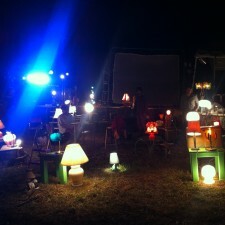 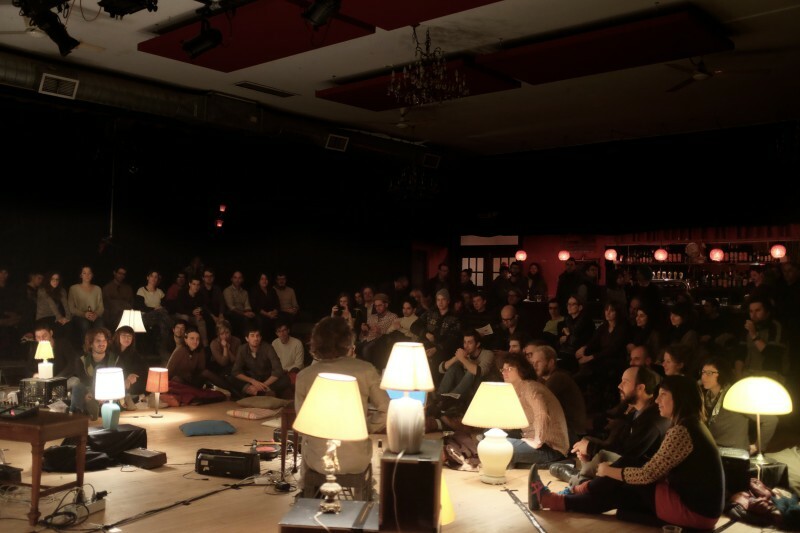 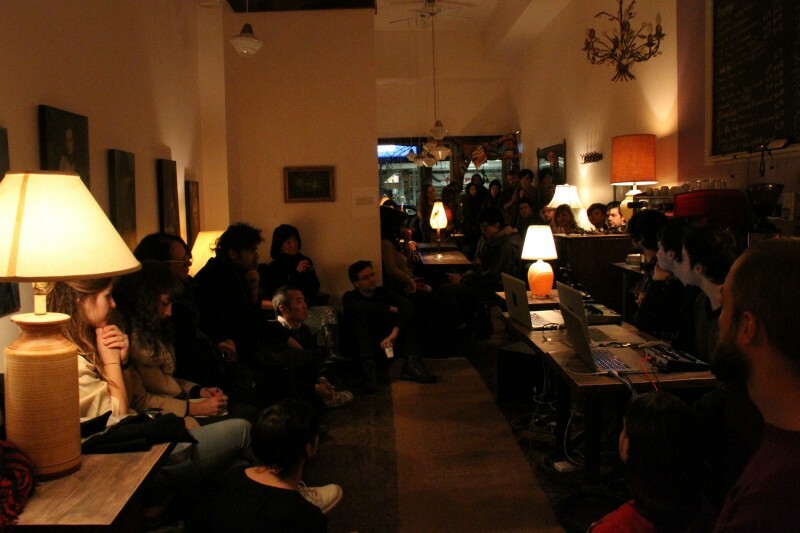 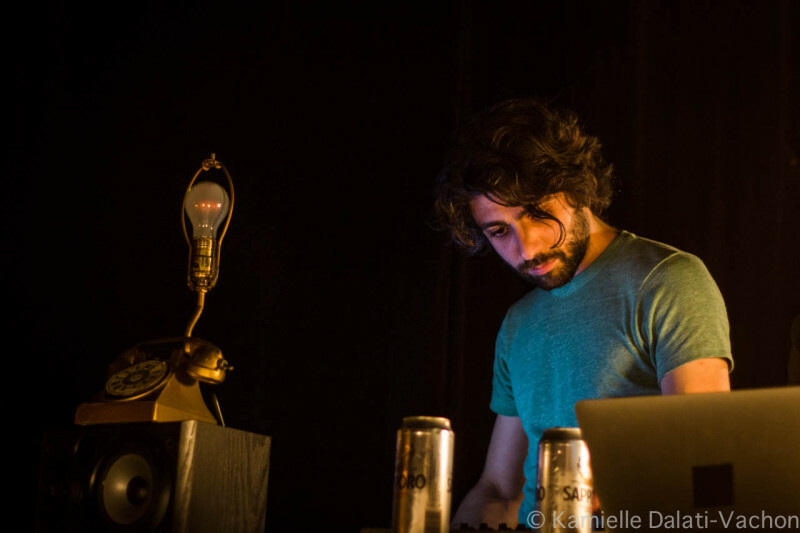 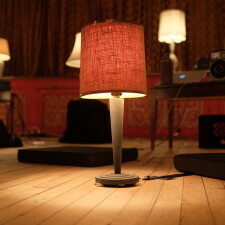 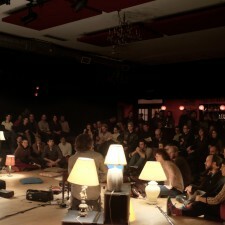 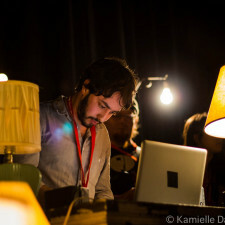 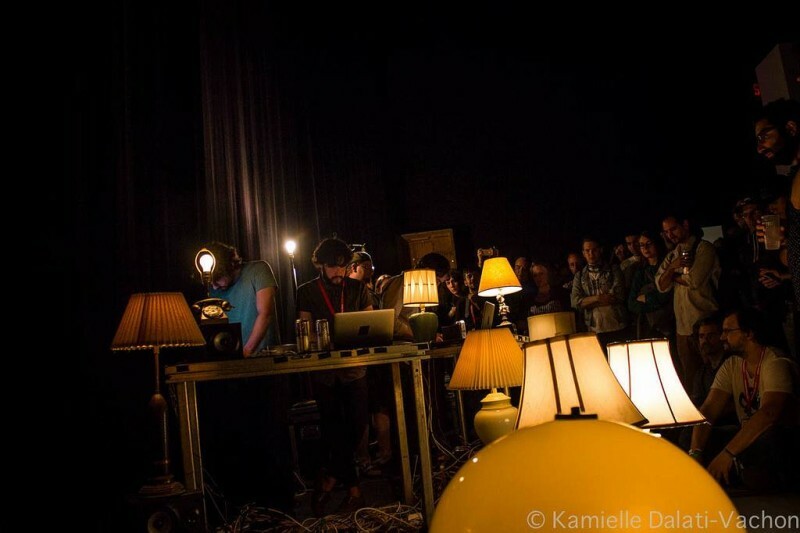 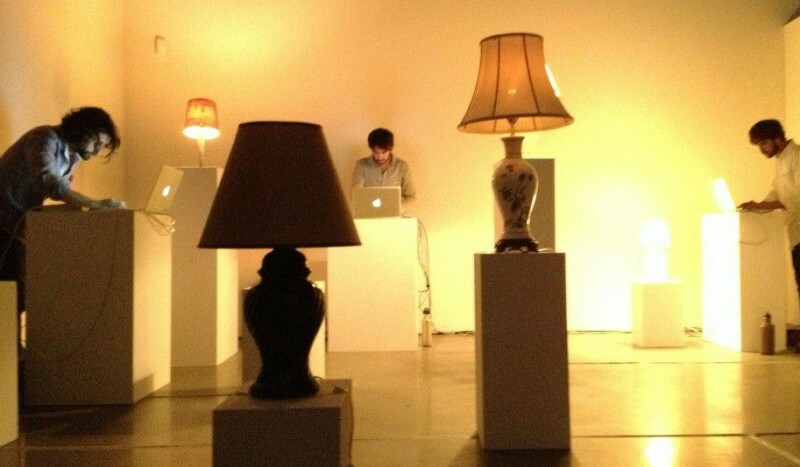 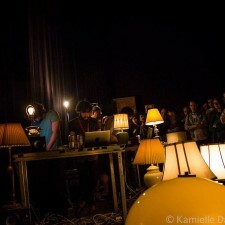 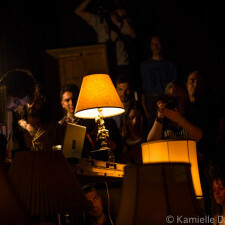 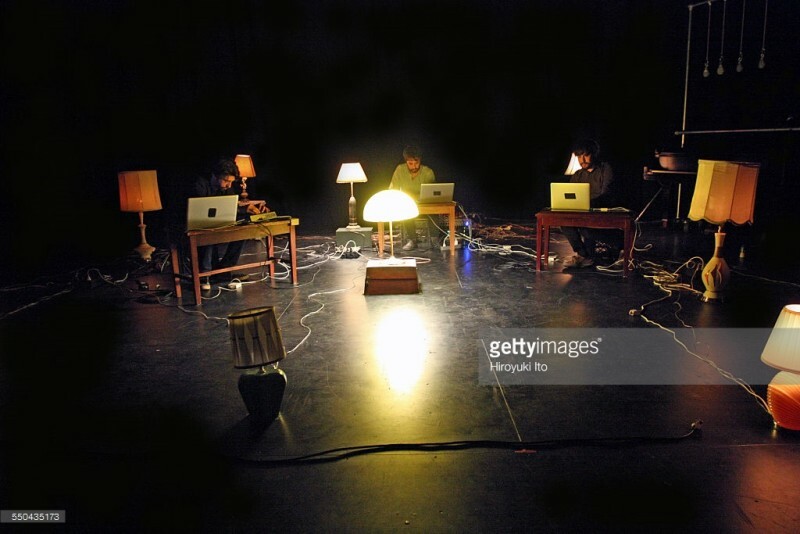 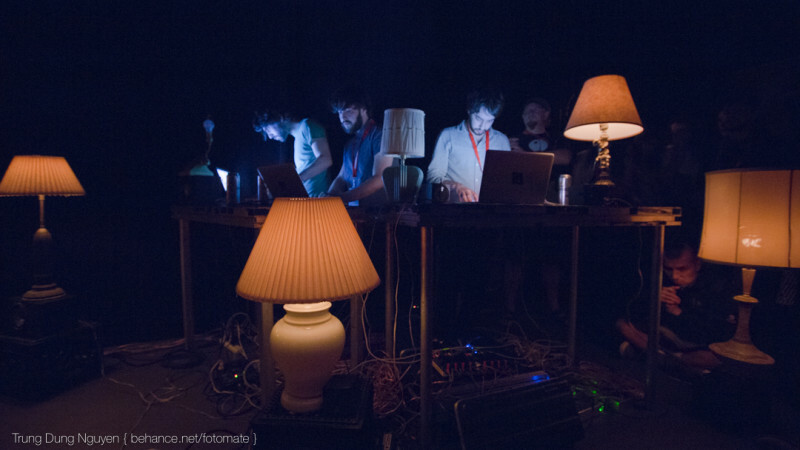 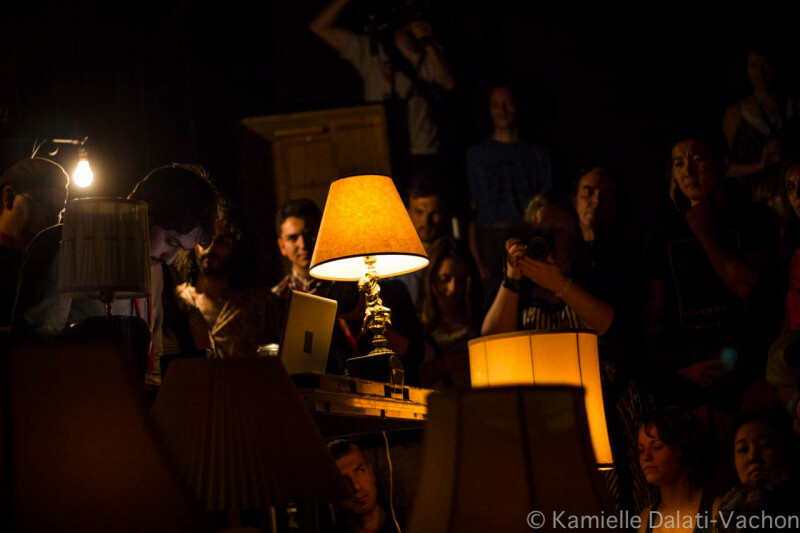 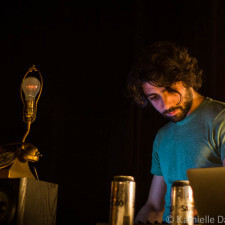 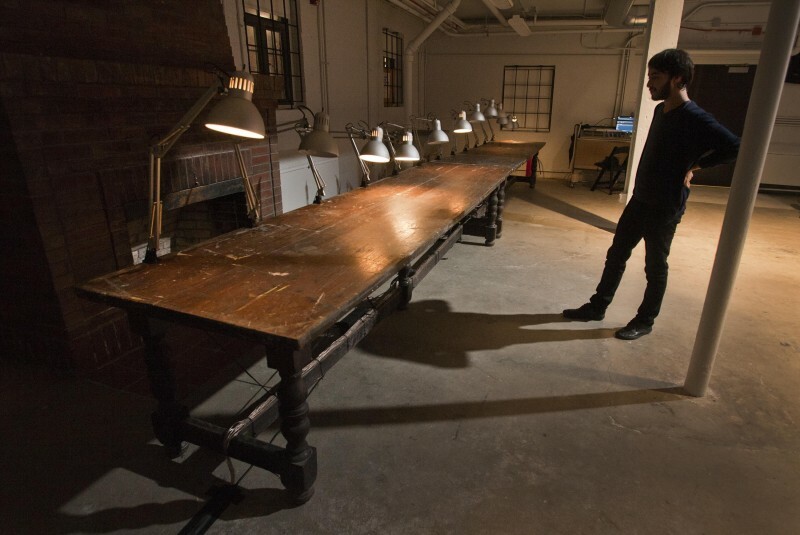 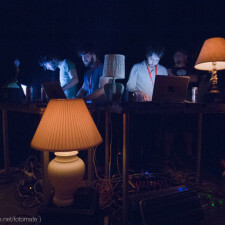 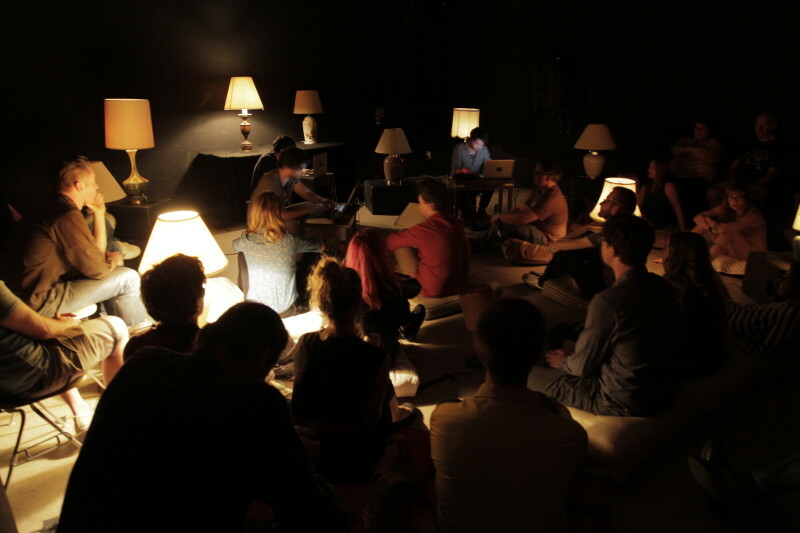 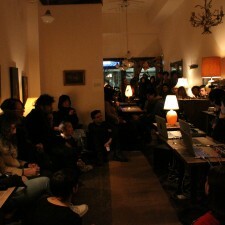 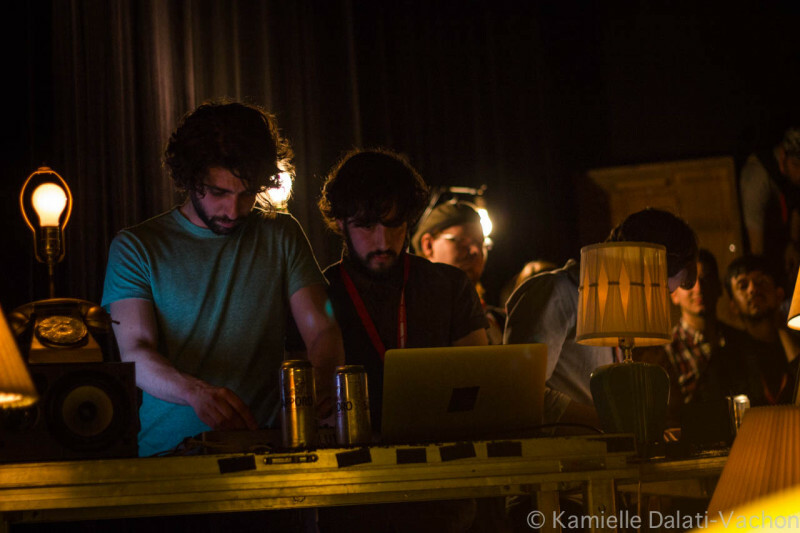 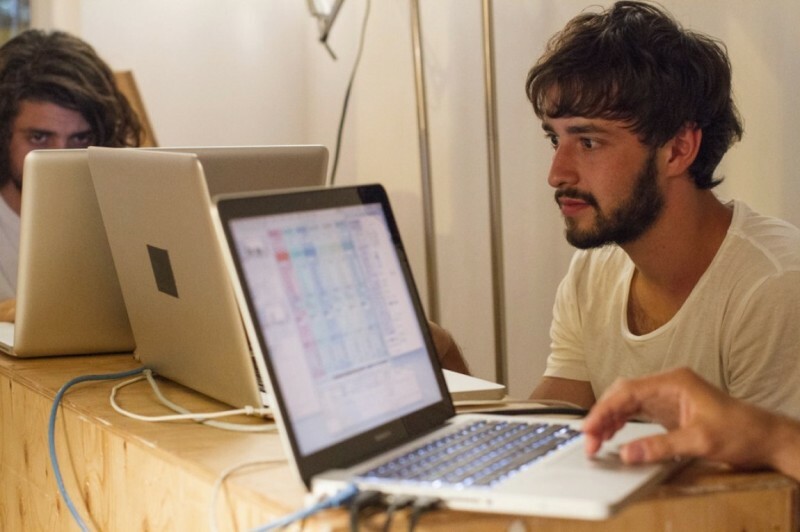 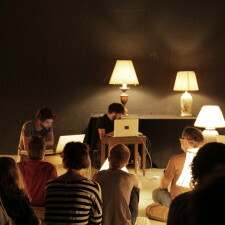 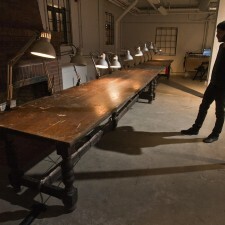 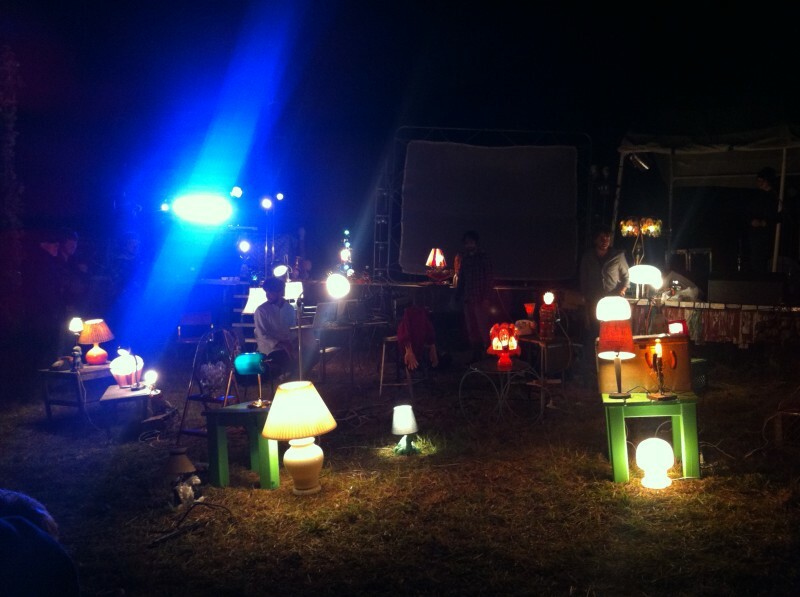 Music for Lamps is an installation and performance work for 12 sound and light emitting lamps. 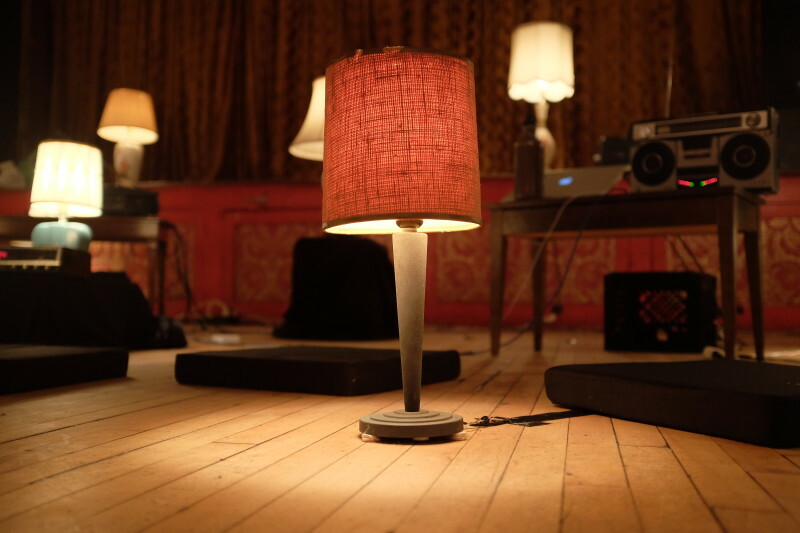 Each lamp is discreetly outfitted with a surface transducer speaker, turning the lamps into both light and sound emitters. 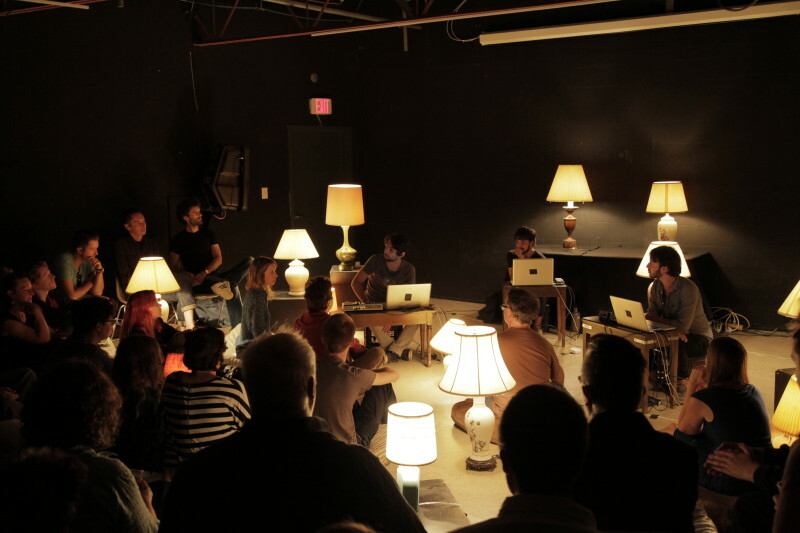 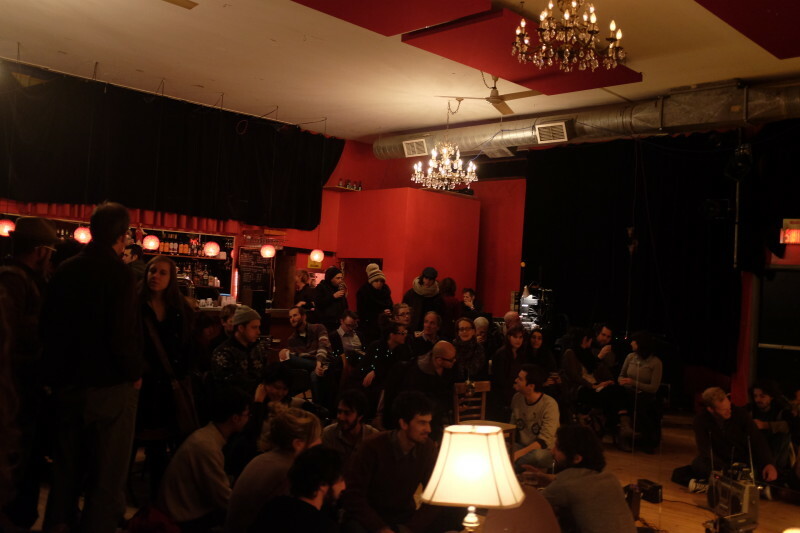 The lamps are arranged to both surround and permeate audience members, creating a 12 channel light and 14 channel sound performance. 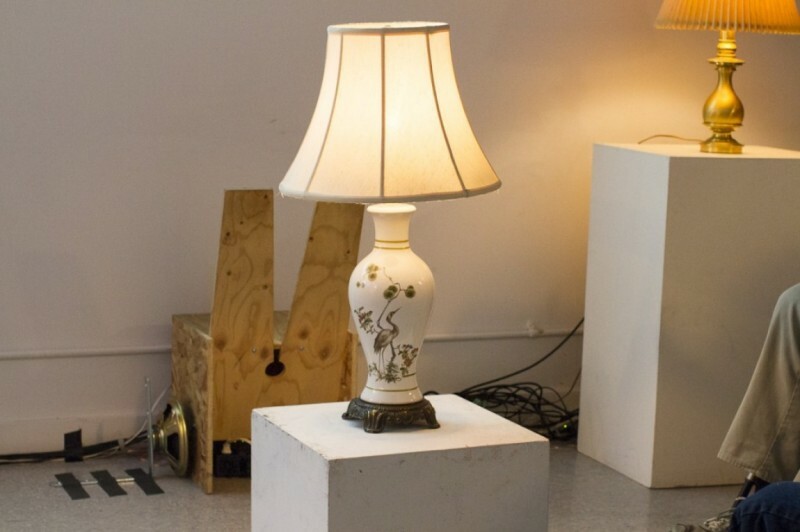 This work explores the continuum between the abstract qualities of sound and light, and the evocative qualities of domestic objects. 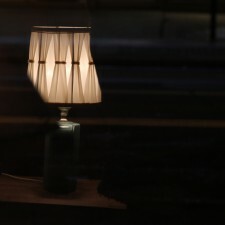 Re-animated through digital technology, the lamps’ every “performance” is pulled apart and recombined in a novel manner. 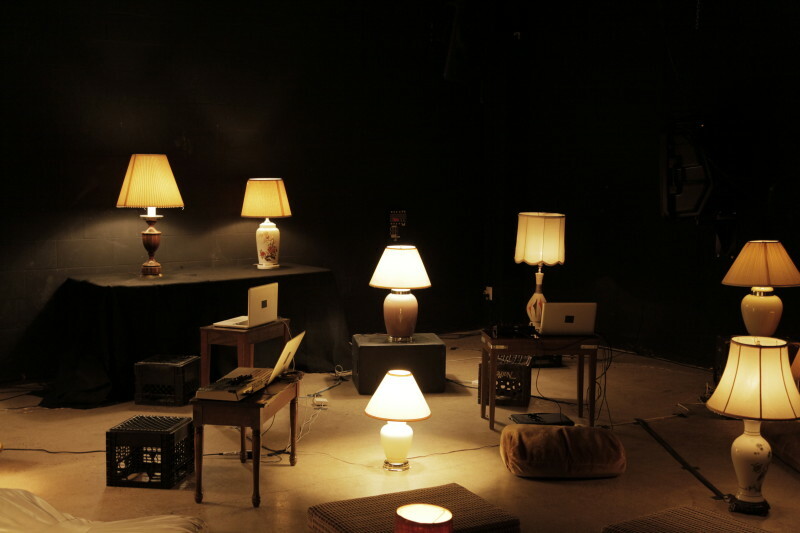 In this sense, Music for Lamps investigates both the potential of domestic objects, recalling their everyday functions and – through aesthetic transformation – transcending them. 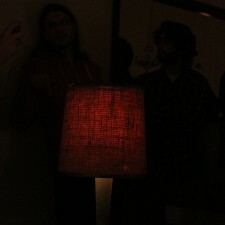 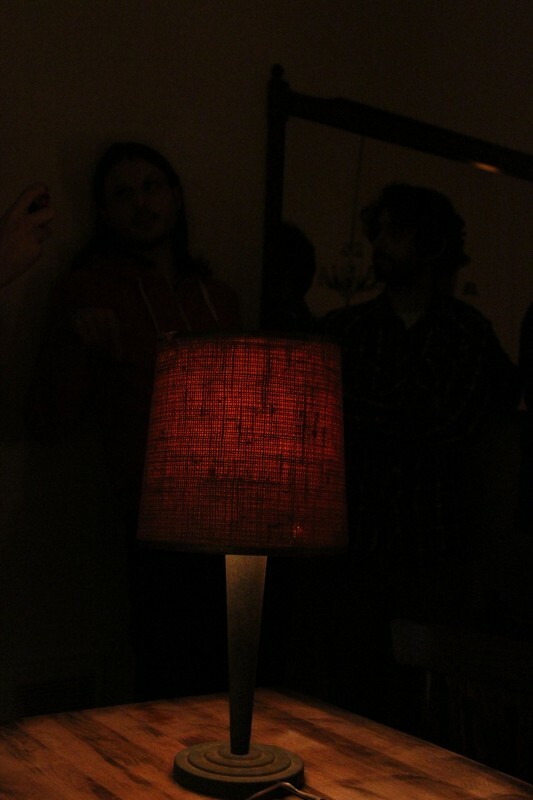 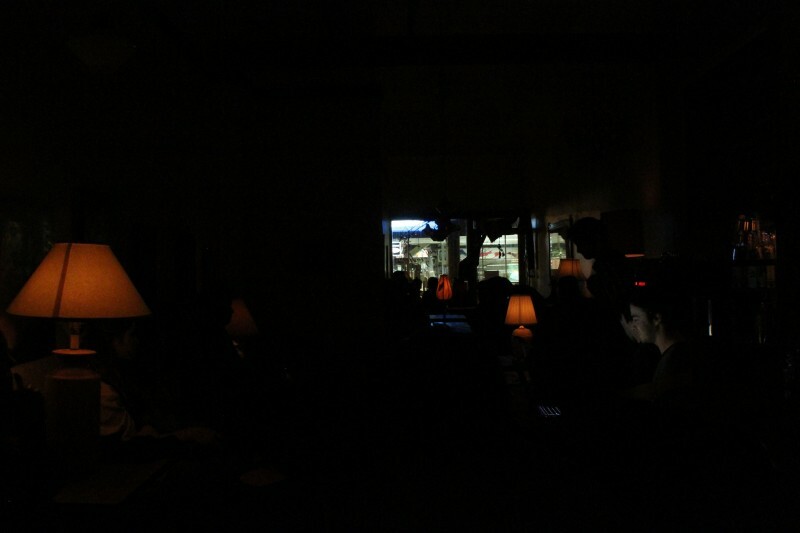 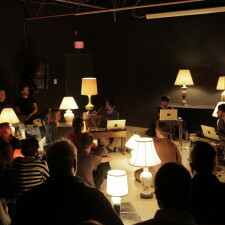 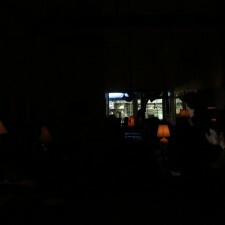 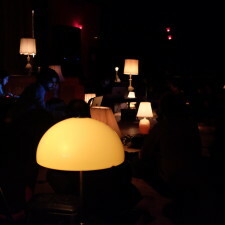 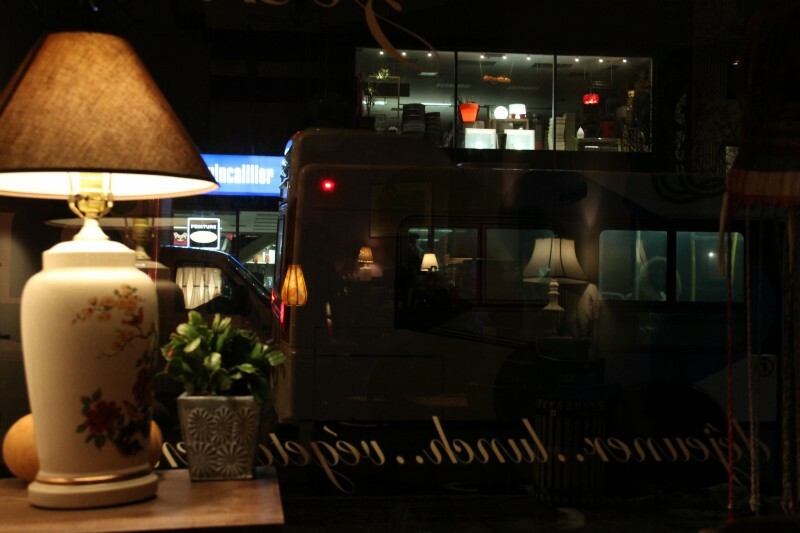 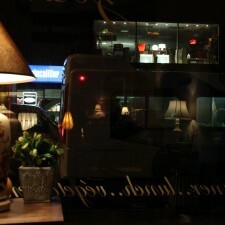 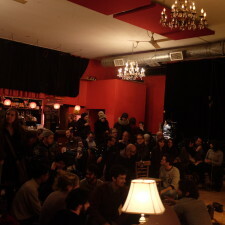 Lamps may behave as individuals, or as part of a larger ensemble, manifesting various behaviours in light and sound. 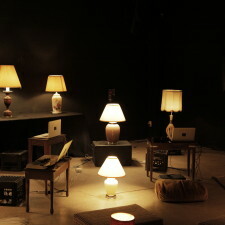 Each lamp possesses its own resonant “voice” and sonic character in accordance to the size and material of which it is made. 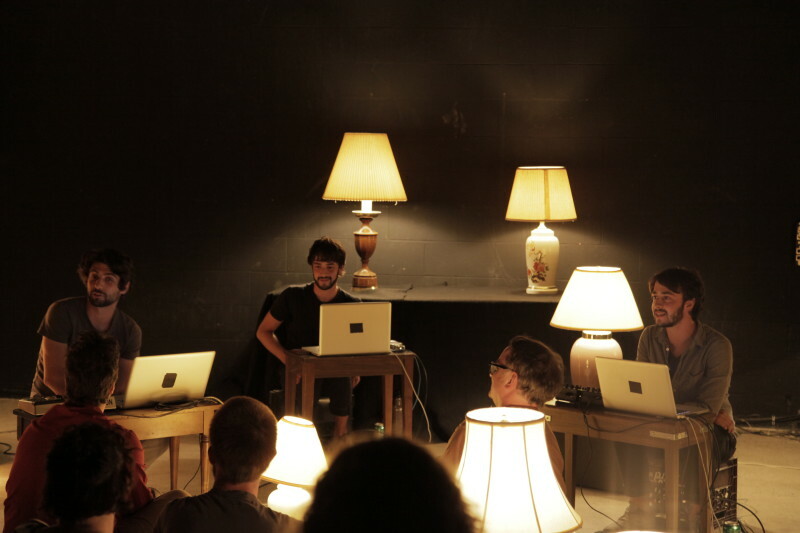 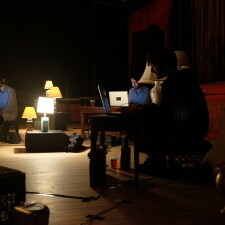 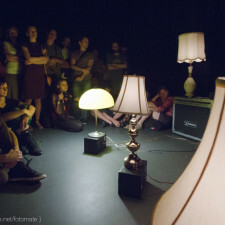 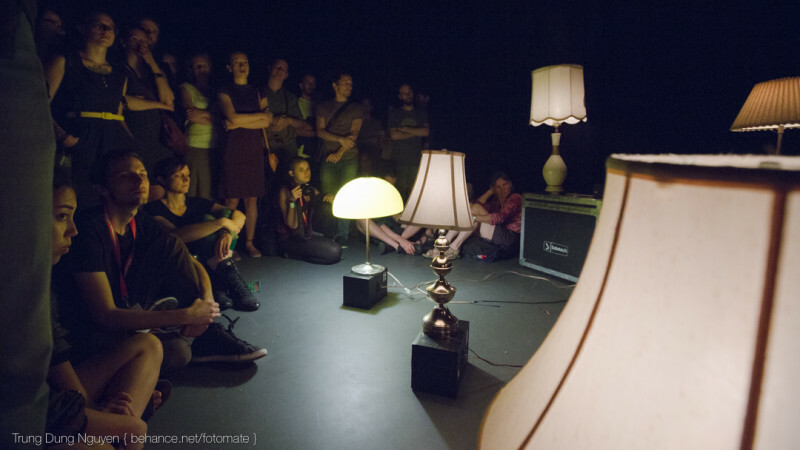 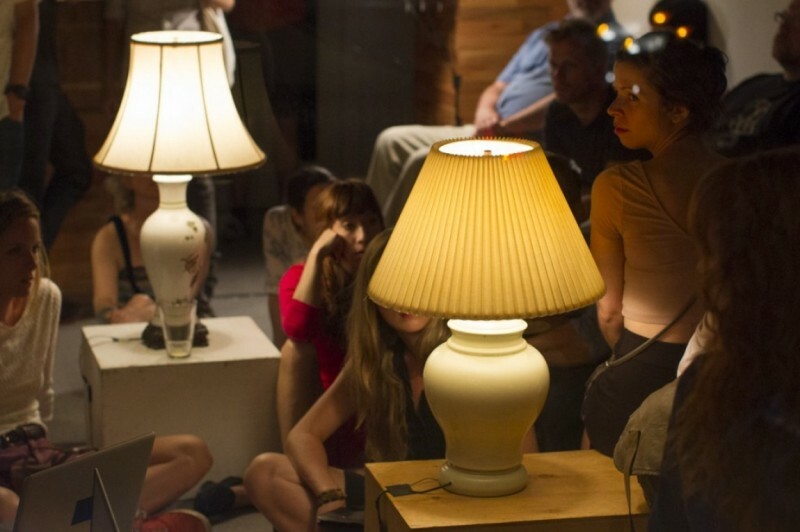 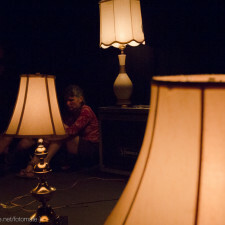 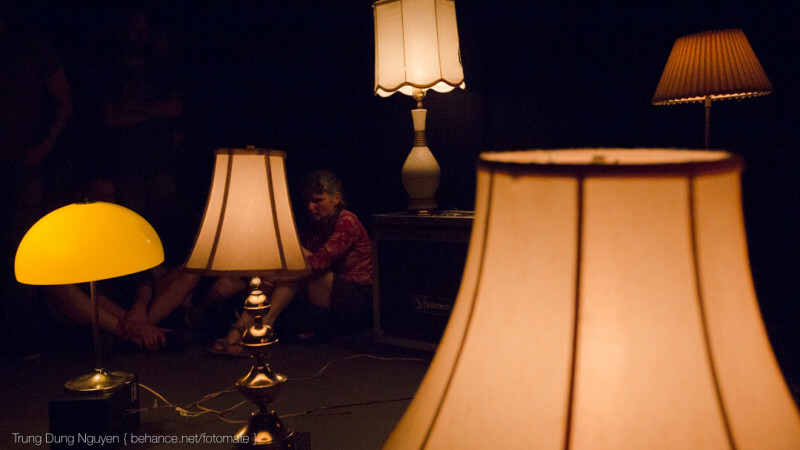 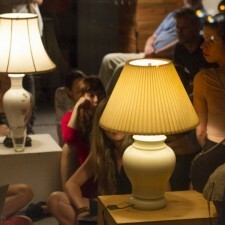 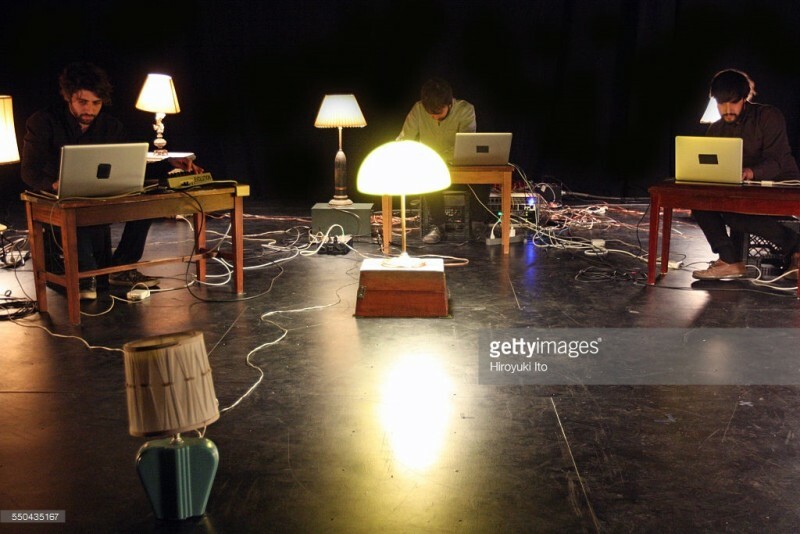 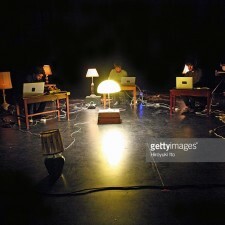 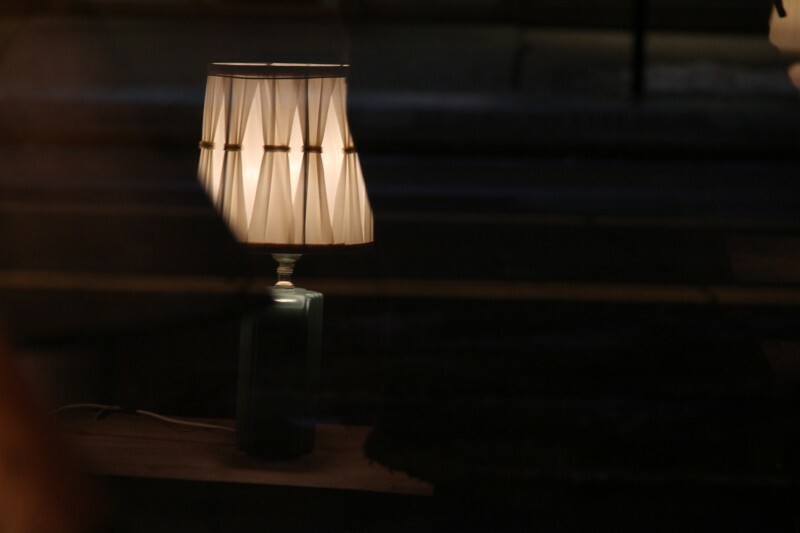 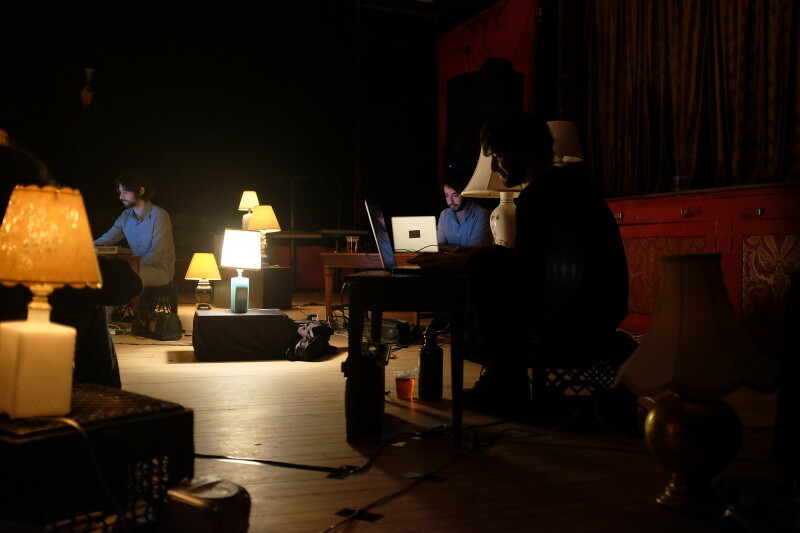 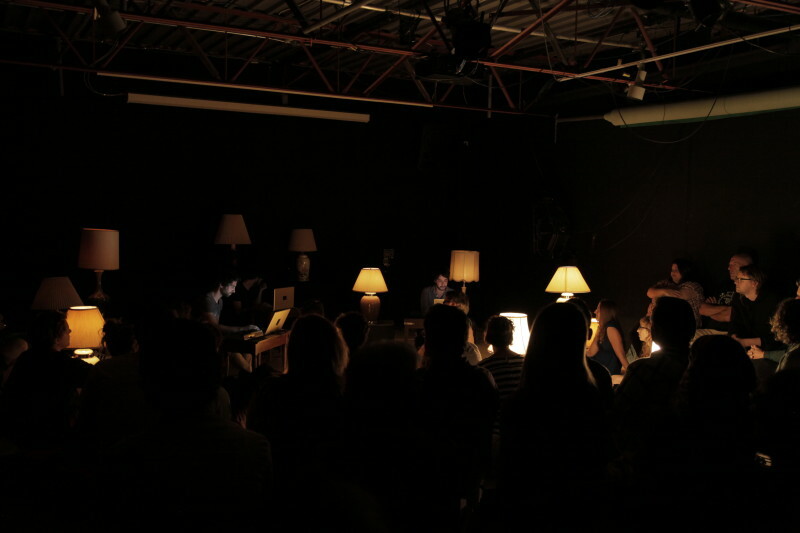 In their own voices – distinct both sonically and visually – the lamps, at times playful, emotive, and dramatic, become as characters in the piece. 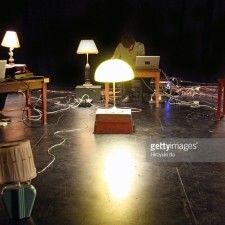 12 computer controlled lamps, 14 channel sound. 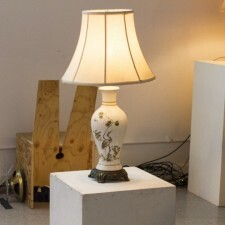 For tech rider please contact artists.